Plano Therapist: Andrea Schultz - Therapist 75075. Is your child struggling in school or acting out in anger? Is your teen anxious or depressed and making poor choices? Are you overwhelmed as a parent or experiencing problems in your own relationships? Whether it's you, your child or your family that's struggling, we can work together to accomplish the change you're looking for. 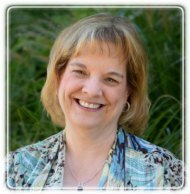 I am a Licensed Professional Counselor, Registered Play Therapist and board-approved clinical supervisor with more than 25 years of clinical experience. I received both my undergraduate and Master's degrees in counseling from the University of North Texas. My background includes work in private practice, agency and inpatient psychiatric settings with clients of all ages. My experience includes 16 years at the Dallas Children's Advocacy Center, a recognized leader in the field of abuse and trauma, where I served as both a therapist and clinical supervisor. Prior to my work at the advocacy center I provided clinical services to children of domestic violence and their families at The Family Place Help Center North Dallas where I also developed the children's clinical program. We all have different life-experiences and the way we perceive those experiences can have a powerful impact on our thoughts, feelings and behaviors. We may not have control over everything that happens in life but counseling can help us learn to make positive changes in how we think, feel and respond to situations. Equipped with new and more effective ways to face life's challenges, we can choose not to let negative experiences from the past define who we are or how we live in the present. I offer convenient after-school, evening and Saturday appointments. Please call me at 972-762-5795 or visit www.andreaschultzcounseling.com for more information. I look forward to connecting with you!